Former Brazil coach Carlos Alberto Parreira, who won the World Cup with theSeelcao, says that the human touch provided by Tite has been a major factor in the revival of form for the five-time world champions. After having endured major disappointments in the World Cup 2014 and Copa America 2016, Brazil were seriously in need of a new direction. It has been provided the former Corinthians manager Tite. Many felt that he was the wrong appointment given that he has a reputation for being a defensive coach. 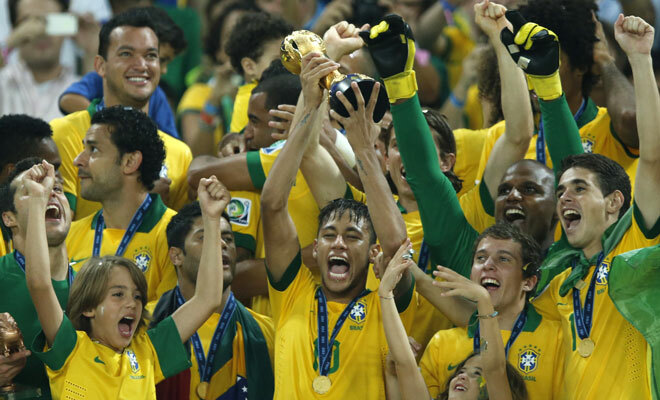 However, he has managed to win the adulation of supporters by transforming Brazil’s fortunes quite drastically. Brazil have been the top team in the World Cup qualification so far after having won the last three games. They have been beaten only once in the 12 matches. The manager has also been able to shake off his defensive tag after his Brazil team have scored 28 goals in the opening 12 matches. Parreira, who knows a thing or two about leading Brazil in two major tournaments, says that Tite has been able to succeed largely as a result of giving the players a human touch that they have so yearned in recent seasons. Luiz Felipe Scolari adopted a similar approach, but his tactics were too primitive for Brazil to make any impact in the World Cup without Neymar. “Tite has completely changed the atmosphere, he is a great manager of people, of human beings.He's a guy who transmits a certain sympathy to the players, and is very knowledgeable about all aspects of the game. about football. His greatest achievement so far is returning the joy and confidence of Brazilian football as a whole.I am so happy to see that his players are interested in improving their knowledge, improving themselves as players, desperate every day to add something to their game,” said Tite.